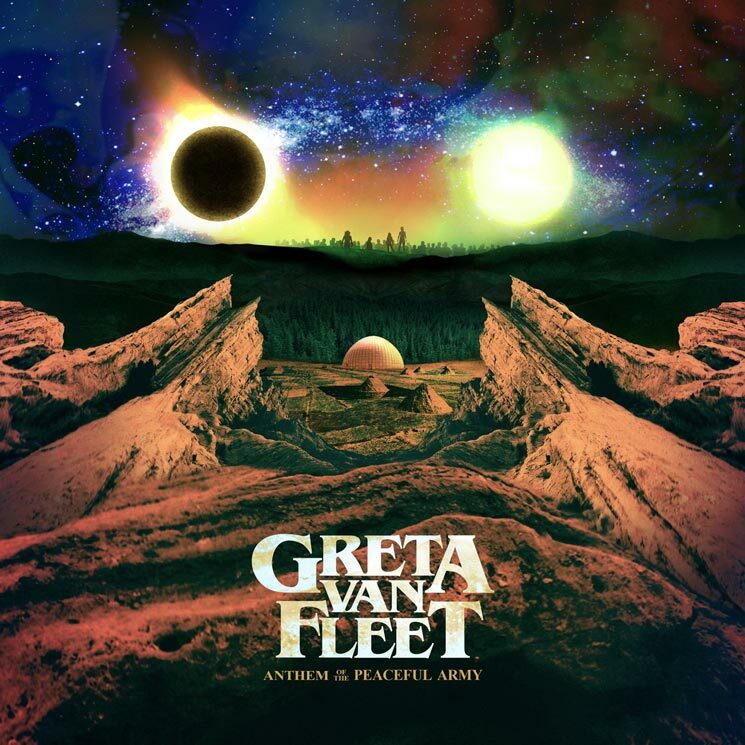 Hear Greta Van Fleet's Acoustic "Anthem"
Ahead of delivering their debut LP Anthem of the Peaceful Army later this month, Greta Van Fleet have shared another song from the effort. Titled "Anthem," the track finds the band showing off their acoustic chops, with steady strumming and light percussion leading to a gang vocal finale. You can hear the track in the player below. Anthem of the Peaceful Army arrives October 19 through Lava Records/Republic Records.